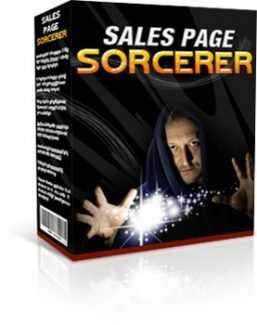 - Step-By-Step Process - the "Sales Page Creator" walks you through a simple step-by-step process. All you do is fill in the blanks. - It Builds The Web Page For You - This software builds your web page for you... You just enter your text in the boxes and click the create button! It's that simple. - Just Fill In The Blanks - All you have to do is go through each step and enter suitable text in the boxes. - It's FAST - "Sales Page Creator" is so fast that once you've created your first sales page, a typical user can create a new sales page in as little as 20 minutes. It doesn't matter if you know nothing about web design or HTML. This software handles all that technical stuff for you. Simply enter details into the boxes and click the Next button to move on to the next step, following the sequence of nine easy steps. When you are finished entering the details, just click the Create button and your complete, ready to use sales page is generated automatically. If there's anything you're not happy with, just activate the software again (it remembers all the information entered into all the boxes). Change the information in the relevant box and then build your sales page again with a single button click (you can also edit the sales page using any HTML editor, to make changes as required).